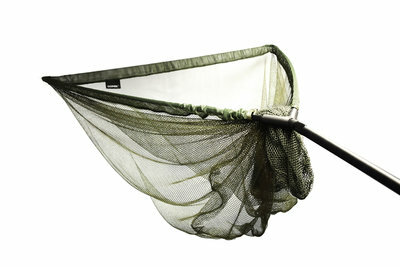 The VADERX landing nets are manufactured with the same careful attention to detail as the rods. They feature slim, lightweight and strong handles in 2PC. Super stiff net arms with curved end protectors are matched to a medium depth green mesh; this can be tucked into the spreader block retainer for easier manoeuvrability and quick release. With a discrete matt black finish these nets make the perfect match for our rods.